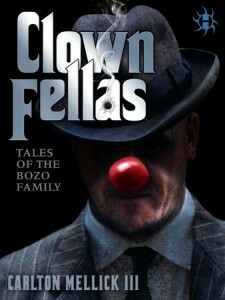 Publisher’s Weekly described Clownfellas: Tales of the Bozo Family as “Mario Puzo meets Barnum & Bailey” and that’s about as accurate a description as I can think of. Make no mistake about it, this collection of short stories is hilarious – clowns as gangsters? really?? – but it’s also dark, gritty, and disturbing. In the world this book inhabits, Clowns are a kind of metahuman mutant, and each faction has different characteristics. The Bozo family is comprised of traditional American-style circus clowns, while other factions include the French Le Mystère (who are not, apparently, mimes, though I wouldn’t have been surprised if they were – a further tale, perhaps?) and deal with attacks from the Jugglers. The author, Carlton Mellick III has taken every gangster trope and every clown trope mixed them up and come up with something fresh and fantastic (in all senses of the word). In one story a coulrophobic (coulrophobia is fear of clowns) veterinarian is dragged to Little Bigtop to save the life of Don Bozo’s pet lion. In another, a human Associate is resisting the serum injection (Happy Juice) that will turn him from Human to Clown because he’s terrified of becoming a statistic. In the universe of Clownfellas, it seems, one in ten people become Sideshow Freaks instead of true Clowns, and are sent off to fend for themselves in the Sideshow without rights or recognition. Goes well with popcorn, peanuts, cotton candy, hot dogs, and beer served in a dangerously flimsy plastic cup. 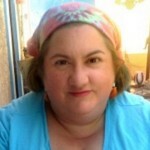 This tour includes a Rafflecopter giveaway for a HYDRA mug and a copy of the book!